How about tackling a day in the kitchen, making fry pies? When my sister-in-law, Virginia, first mentioned the thought, it really seemed to be an excellent idea, yet to myself, I wondered how I could do it with our four preschoolers. A couple days later, her husband, John, and Daniel came up with the idea that they could babysit while we ladies made fry pies. We readily agreed. Finally, today was the day. The men took off work in the furniture shop, which they are in partnership with, and relaxed in the living room as we began mixing up the dough, getting the filling ready and the likes. We had fry pies all over. The house smelled like cooking oil. It all worked out great. When the busy 13- and 17-month-old boys got into things, I just craned my neck, peered into the living room and said, “Daniel!” In no time, Hubby was to the rescue. I smiled. Daddy kept busy entertaining. Daniel is a born cook and baker, so before too long we had him stationed by the frying pan as he deep fried the pies to a perfect golden brown. Since none of us were all that experienced with doing fry pies, we didn’t know exactly what to expect. After rolling out half of the dough, we noticed that we’ll definitely need more ingredients to make an additional batch. If we’re in knee deep, why not make it worth it enough to stock the freezer? I made a quick trip to my uncle’s store for more flour and shortening. Soon we had the show on the road again. As John spooned pie filling into the dough his wife had rolled out, Daniel kept deep frying, and I got to pinch hit with the little boys. Austin was all eyes as he watched the old fashioned stainless steel crank as it pressed the pies together and cut off the fringes, all in one. Julia was distressed. She really wanted to help with fry pies before going to school for the day. “How about coming home for lunch?” I asked. Being able to come home for lunch certainly is one of the many blessings of having school right next door to our house. She was impressed with the idea, yet disappointed to still miss out on so much of the process. As the fry pies took shape, memories of my former schoolteacher, Mary, who made fry pies in the bakery at my uncle’s store, replayed in my mind. After I was out of school, I worked in the bulk food section at the store. I enjoyed watching Mary as she skillfully produced the most delicious pastries. I did not expect ours to turn out like hers always did, but I was delighted with how well it did go. As the first batch was taken from the frying pan and given a couple minutes to cool, we were all eager to see what they’d be like. We oohed and awed over the fresh goodness of this rare and tasty homemade treat. I preferred mine hot, hot enough that the glaze barely stuck to the hot pastry. Others popped theirs in the freezer for a quick cool down to enjoy it nice and chilled. We settled with five kinds of filling: cherry, peach-pineapple, raspberry, blueberry and the best of all, lemon. Yes, I whipped up some lemon filling, using the same recipe I use for pies. Mmmm … what beats a refreshing lemon fry pie? If you’re like me you also enjoy cream cheese with fruit fillings. I’ll tuck it in this week for you try for yourself. It works well to spoon some alongside the pie filling or even layer into the bottom of your favorite fruit pie. Editor’s note: Fry pies, or fried pies, are a staple of Amish culinary culture. They are favorites in lunch pails, as after-school snacks, and to sell to raise money for medical bills. The treats are portable and delicious! 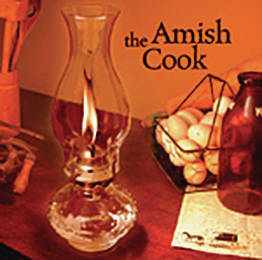 How the Amish became so closely associated with the fry pie has generally been lost to culinary history, but they continue to be made and enjoyed in Amish culture. I’ve seen varieties as interesting as pecan pie, mincemeat and pumpkin to more traditional types like peach, apple and blueberry. I was excited that Gloria showcased the recipe and her fry pie skills in this week’s column! Pies: Mix dry ingredients, cut in shortening. Add cold water. Mix until just blended. Roll out on a floured surface to about 1/8 inch thick. Cut in circles, approximately 4 inches in diameter. Spoon 1/4 cup pie filling of your choice in the center, and if desired, an additional layer cream cheese mixture. Moisten edges of the circle, then fold in half and pinch edges shut. Note: if you are using a press like ours, you will find it the easiest to cut a rectangle, put the filling in the center, then the folding and pinching are all done in one motion. Deep fry in peanut oil, at 380 degrees, until golden brown, about 45 to 60 seconds. It works best to put a rack similar to a cooling rack in the bottom of your frying pan to keep the fry pies from sticking to the bottom. Cool, then dip them one by one into a bowl with glaze and place them onto a cooling rack until glaze is dry. Enjoy! This recipe can easily be cut down to smaller batches.